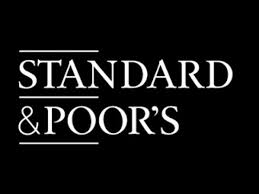 Standard & Poor’s Ratings Service cut its outlook on the credit rating for Finland from stable to negative on Friday due to the Nordic country’s economic problems continuing. The ratings service reaffirmed the triple-A long-term foreign and local currency sovereign credit ratings for Finland. The revision of the outlook reflects our view of the protracted stagnation in the Finland economy, with gross domestic growth per capita the last decade at near zero, said an S&P statement. Luxembourg and Germany at this point are the only two euro zone countries of the 18 members that have the highest possible credit rating of triple-A with an outlook that is stable from the three biggest credit rating services. However, S&P warned there is a 33% chance that it would strip the triple-A rating from Finland within a two-year period unless there are clear signs that emerge that the negative fiscal debt and economic trends in the country are reversing. Finland has struggled to work its way out of the deep recession it dropped into in during the financial crisis of 2008. The government is trying to stabilize its public finances with a number of hikes in taxes and cuts in spending. The economy is not expected to grow any more than one-half of one percent in 2014, said the country’s finance ministry. In March, the central government introduced a package of austerity measures including an increase in taxes and cuts in spending equivalent to $3.2 billion, which is aimed at balancing the public finances in Finland by 2018. These measures resulted in the country coalition of six parties losing a junior partner late last month. Jyrki Katainen, the Finnish Prime Minister said in early April that he would be resigning in June. It is thought he will pursue one of the European Union’s top jobs. Jan von Gerich, a bank analyst in Helsinki said the move by S&P came as a surprise. He added that the action applies more pressure to the already unstable government and could deliver a hit to Finnish bonds. The 10-year benchmark bond in Finland is currently trading at a 1.83% yield and was unchanged from the close on Thursday in early Friday trading.